Debby Kay is one of the most highly sought after speakers on canine scent detection in the world. 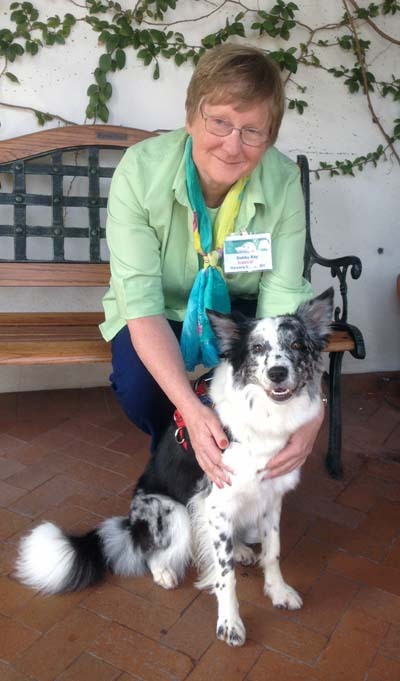 Debby has taught her program to foreign and domestic governments and agencies, non-profit service dog schools, at universities and has been a featured speaker at many dog professional conferences. 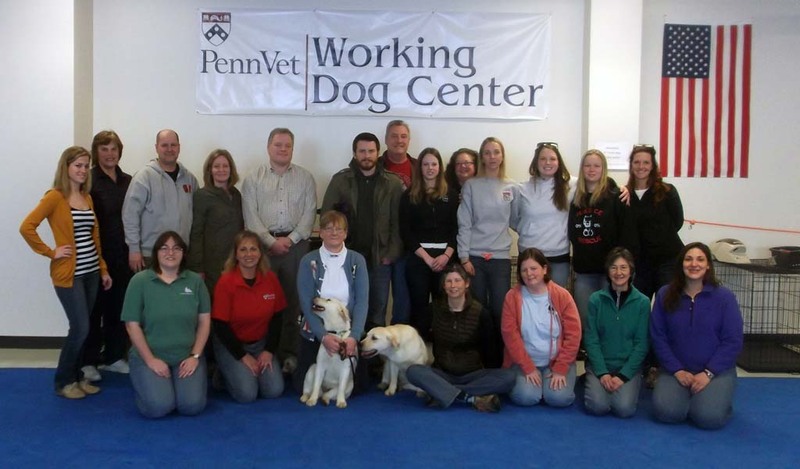 She has been called the “trainer of trainers” and is praised for giving so generously of her vast experience in this highly specialized field of dog work. See the agenda at the bottom of this column to see Debby’s public schedule. Future events will be added as planning allows. 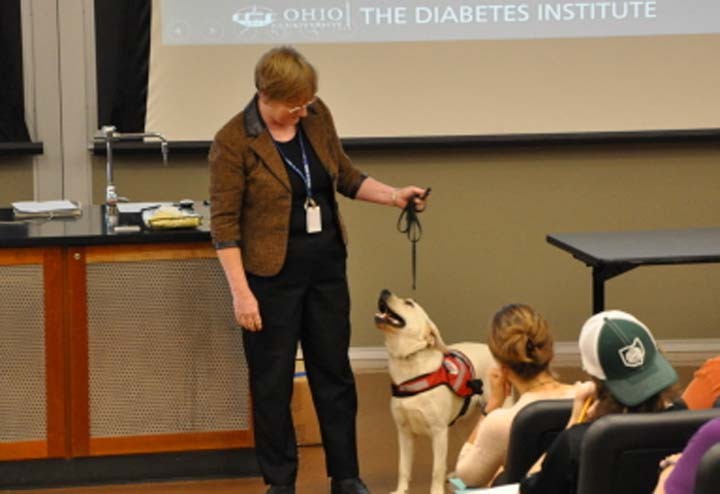 Debby Kay and her dog Sage demonstrate the role of detector dogs in the management of diabetes to a packed audience of doctors, medical students and interested public for Ohio University’s prestigious Diabetes Symposium Series, September 2013. Photo courtesy The Diabetes Institute Ohio University. Trainers representing many schools and private foundations attended Debby’s two-day Diabetes Alert Dog workshop in San Diego.